I was lucky enough to grow up in the exciting performing arts industry and spent many years travelling the world. I enjoyed many roles; working as a professional dancer, choreographer, entertainer and Theatre school owner. I enjoy meeting new people and sharing my passion of make-up and photography. I absolutely love photographing weddings, everyone is so different and I get to meet some wonderful people. I particularly enjoy capturing candid, natural shots and helping people to feel at ease in front of the camera. I relish the challenge of creating artistic images and helping you to remember your special day with photographs you will treasure. If you are having a make over/boudoir photoshoot in our studio, I will ensure you are feeling fabulous and confident in your look ready for your shoot. Our photographic make up packages also include strip lashes. If you are booking a wedding photography package I will bring my make up touch up kit (for any tear stains and lipstick smudges). 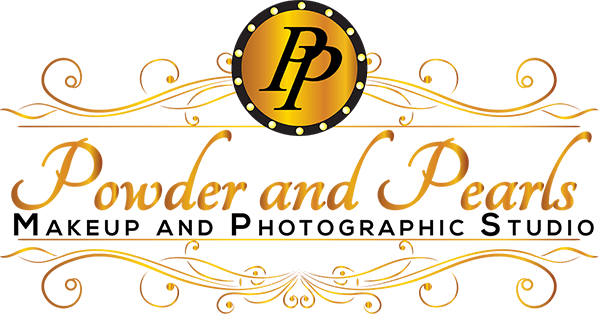 I really enjoy being able to pamper the bride on her big day with this special addition that we believe is unique to Powder and Pearls Photography. I can also adapt your day make up to a more dramatic evening look if you require so you can welcome your evening guests in style. My extensive make-up range features premium make up brands such as Mac, Dior, Estee Lauder and Urban decay to name a few. I have also achieved my “Associated Beauty Therapists accredited course in Bridal and Fashion Make-up” certification and worked for many years in Theatre. Photography is my passion and has been a way of life for over 20 years. I see the beauty in every scene and have been lucky enough to travel the world with my camera. As well as my speciality of wedding and boudoir photography I have extensive experience in portraits from baby bumps to toddler, family, prom, portfolio and even pets!! I have a relaxing and calming manner particularly useful when working with children or excited brides and will direct the poses and and positioning throughout your shoot and ensure you are looking natural and feel at ease in from of the camera. My commercial work has featured in photography monthly magazine and several industry professional journals. I take pride in being up to date with the latest photographic techniques and software and my extensive equipment caters for all occasions and lighting conditions.